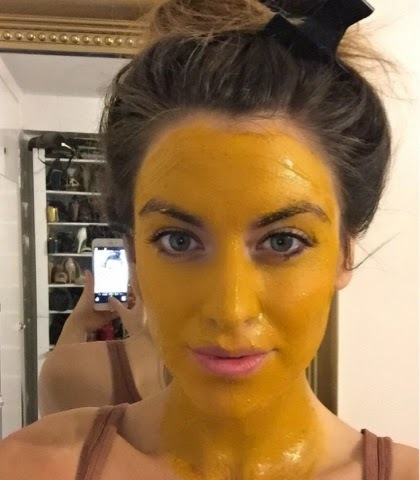 My Home made Turmeric face mask! Turmeric is also great for redness, rosacea, eczema, acne, inflammation and a whole host of skin ailments. It’s highly antioxidant and is also said to help with wrinkles and skin rejuvenation! Manuka honey is naturally antibacterial, anti fungal, antibiotic and moisturising, the higher the UMF the better! This honey is active and is perfect for healing as well. Sea salt and gram flour are again an excellent healers and rebalancers.